Sideshow’s Cast the Bat Campaign: And the Winner is…. Well, Batfans- the results are in! See which Caped Crusader hopeful you crowned as the ultimate choice for who should be cast as Batman! This is it, Batfans! 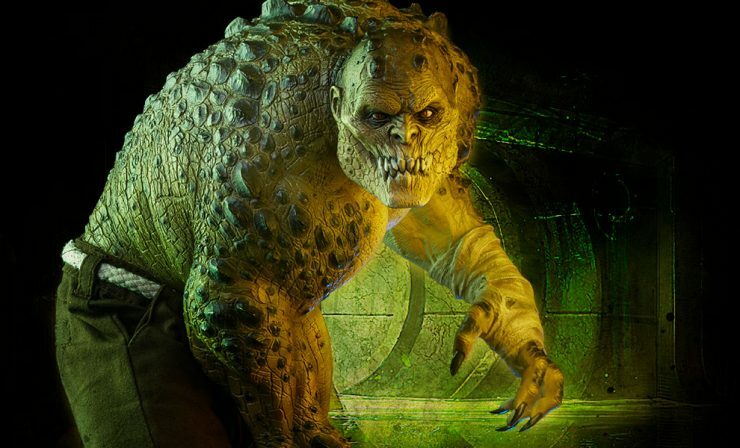 This year for March Madness, Sideshow wanted to know- in the DC movie universe, who would you cast as the next Batman? 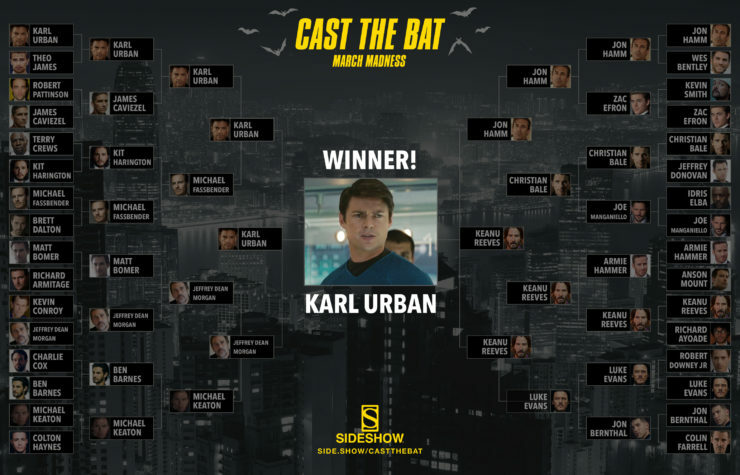 Cast your votes for the final matchup now: Karl Urban vs. Keanu Reeves. 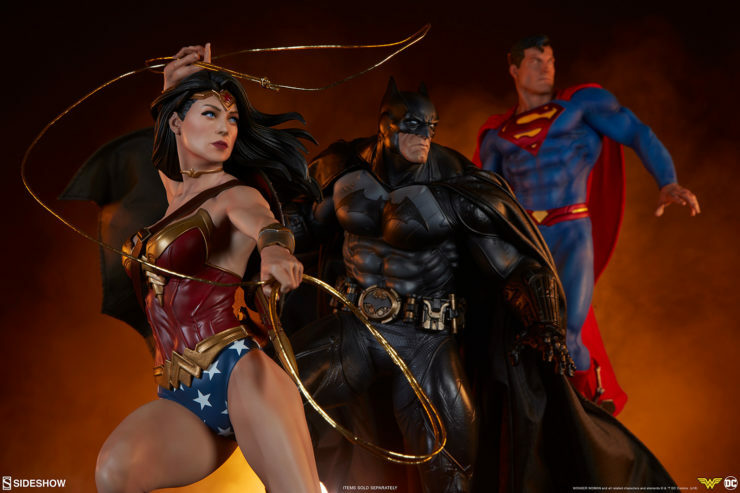 This year for March Madness, Sideshow wants to know- in the DC movie universe, who would you cast as the next Batman? 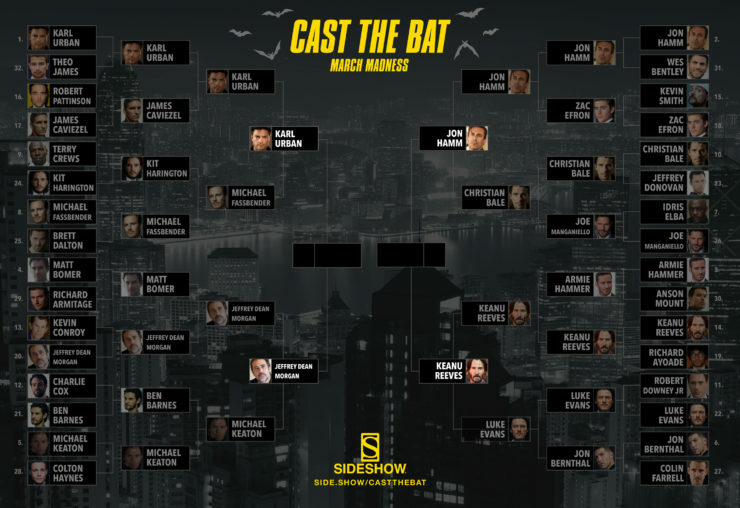 Let Your Geek Sideshow for the semifinal round of voting for your favorite potential Batman. We’re getting close to crowning a champion! Opening the Armory- Some of Batman’s Best Gadgets! 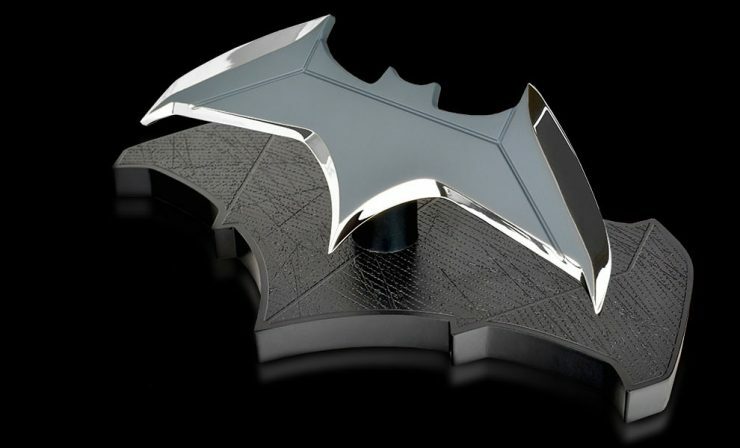 Bruce Wayne has no shortage of resources when it comes to crafting tools to take down crime. Today we’re opening the armory and looking through some of Batman’s best gadgets! 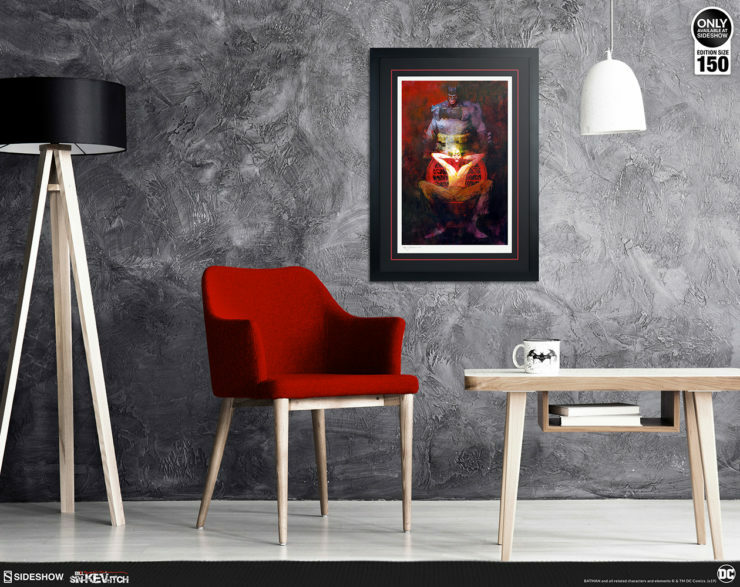 Bring home the Bat to your fine art collection with the Dark Knight Returns: The Last Crusade Fine Art Lithograph by artist Bill Sienkiewicz. 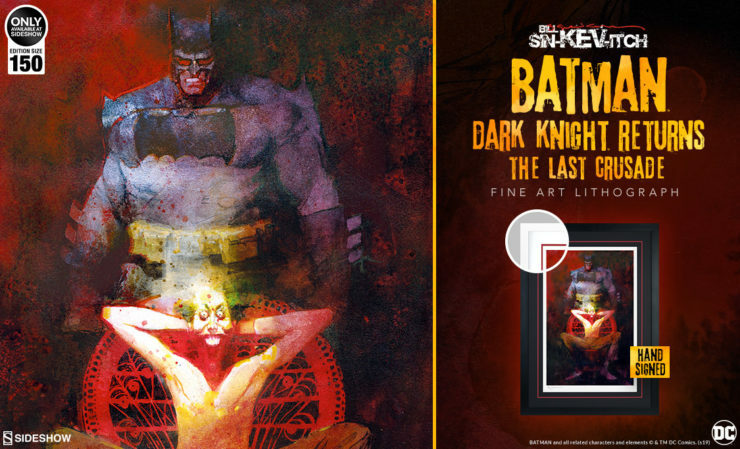 Pre-orders for the first Bill Sienkiewicz art piece from Sideshow will begin on Friday, March 29th. 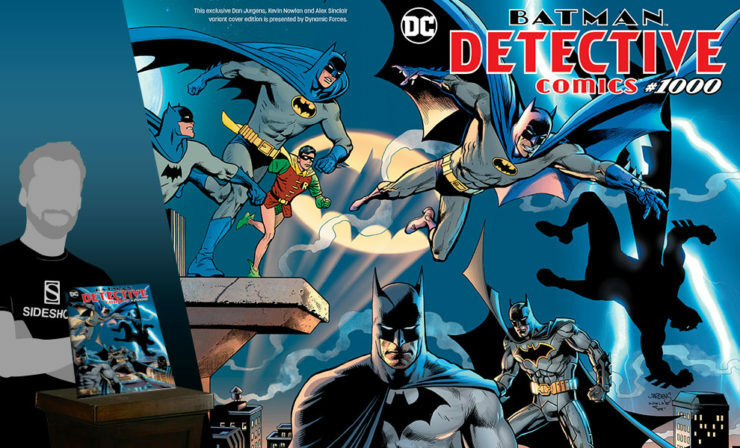 Celebrate Batman’s 80th Anniversary with a special deal when you pre-order all three Dynamic Forces Detective Comics #1000 Variant Covers. Find out more about how to claim this offer now! 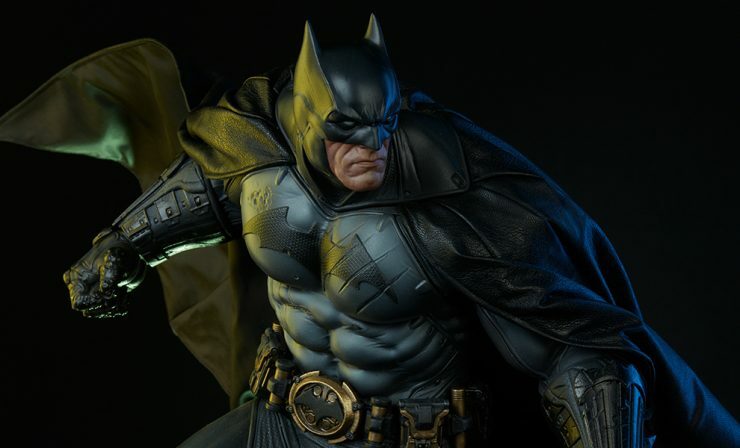 Quiz- Which Era of Batman Best Suits Your Personality? Find out which era of Batman suits your personality the best with our new quiz. Don’t worry, your secret identity is safe with us.